Casa Netural originated in 2012 thanks to the effort of its founders: the young couple Andrea Paoletti and Mariella Stella. Andrea is a young architect who travelled all around the world designing co-working spaces and Mariella is public servant with a strong interest for social innovation and place development. Together they decided to create an unprecedented form of co-working in the Sassi, that later becomes an actual multi-functional public space. Casa Netural is currently a place of sharing, open, even in its architecture. It is 80sqm open space realized in an organic structure, in which the workspaces are alternated with the relax area. The house also has a kitchen area for guests and a panoramic terrace with a beautiful view on the Sassi. – Co-working, that works similarly to other analogous services, with a membership card. – Co-living: it is a service that offers the possibility to test how to work differently in Matera and live within a community. It is for entrepreneurs, freelance, start-up teams that are looking for a space to work and to empower their project for a temporary period. – Dreams incubators: it is a service especially dedicated to the stage before start-up incubation. Every Wednesday morning the “Dreams Help Desk” is opened for citizens who want to come and tell their dreams in order to discuss and verify if they can be transformed into an entrepreneurial project. – RI-Netural, a collection of events on sustainability in which the participants addressed a range of issues through the most creative and self-developed reuse of materials and sharing of experiences of other social activists. – Fantalucania, a project dedicated to children: within it exists play, creative and educational activities that focus on issues such as environment and social innovation. – Agri-Netural: a project for the requalification of green areas in Matera. – Netural Talk: a set of unconventional courses to learn foreign languages. – Netural School: a platform for teaching and learning any kind of activity, sharing skills and knowledge. 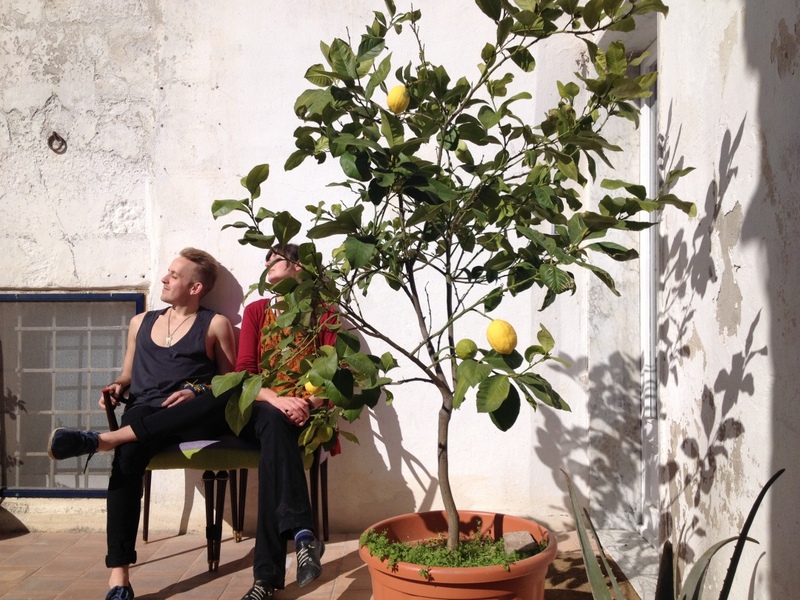 The original founders of Casa Netural are a young couple of social innovators, Andrea Paoletti and Mariella Stella who decided to create a co-working space in a special place: the “Sassi”, ancient houses dug into the calcarenitic rock itself and part of the historical centre of the city of Matera. Andrea and Mariella founded an association for opening a new collaborative space and, in order to manage it, they created a team of 10 associates. They are 10 young people that participate to animate this co-working and co-living space by playing different roles: they are designers, photographers, managers, touristic guides and many of them are at the same time the “hosts” of Casa Netural, meaning that they take care of welcoming people and manage the space facilities. Beside this hard-core of associates there is the wide community of the members of Casa Netural, who are the main beneficiaries of the space: they use Casa Netural for different purposes: for working, for organising events, for learning and teaching etc. Andrea and Mariella also established several partnerships with other innovative associations and enterprises, both at a local and national level, such as the co-working space Impact Hub in Bari, the social network for sharing books Fred, the platform for social-eating Gnammo, and many others. In addition a number of local sponsors support Casa Netural, they are small shops and entrepreneurs that participate essentially by providing equipment and mayor domestic appliances for the co-living space. Finally, Casa Netural develops a wide variety of collaborations with local institutions, above all with the Municipality of Matera but also with the municipalities of the surrounding towns. Casa Netural is characterized by an explicit use of design, first of all because one of its founders is an architect expert in co-design processes. Andrea Paoletti supervised the interior design of the co-working space, creating a system that is flexible and modular also to be moved outside and thus to set the public space in the court yard. All the communication materials connected to Casa Netural are designed and show a high level of coordination and detail, because it is possible to distinguish a sort of corporate identity that connect all the activities.